Sometimes you don’t want to admit things. This is one of those times. 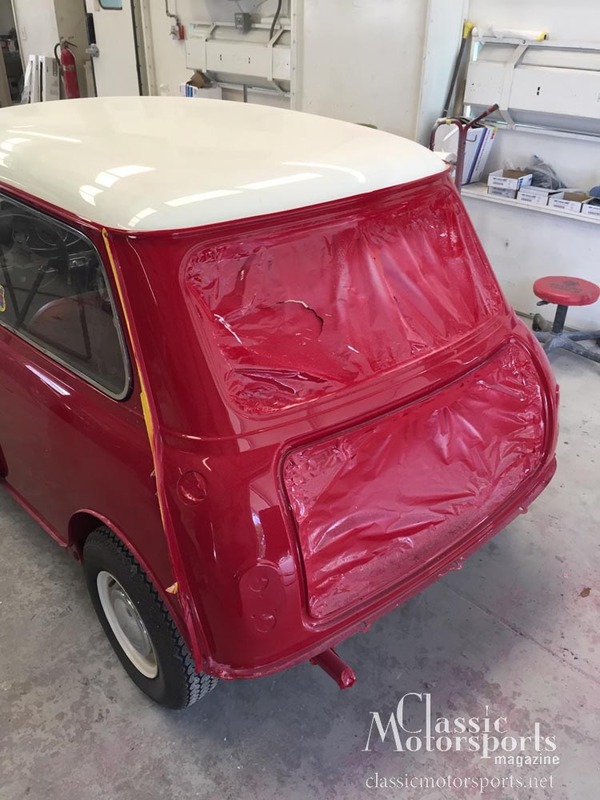 Having never restored a classic Mini before, we didn’t really understand how the bumpers mounted to the body. A previous owner had trimmed the entire rear bumper mounting lip off the body to run the car bumper-less. Somehow, we got the car all the way through paint before we noticed there was nowhere to mount our rear bumper. The cheap and easy way to fix this would have been to just fabricate and bolt a couple of bumper brackets onto the body and let it slide. But when you are trying to make a concours-correct car, the easy way won’t cut it. Mini Mania sells reproduction rear valence and under trunk panels that have our missing bumper mounting bracket built in. We cut them to fit, welded them on and painted the entire back of the car again. This new clip meant we had to remove the rear window, taillights and gas tanks. Don’t make the same $1000 mistake we did. Make sure all your trim fits before you paint your project car.